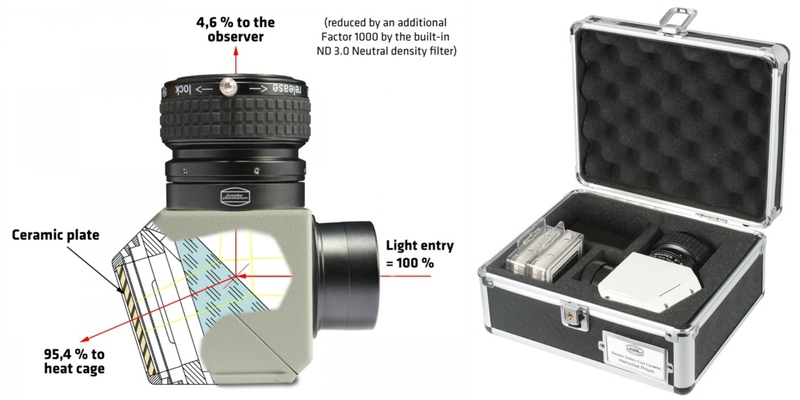 Baader Cool Ceramic Herschel prism is an accessory for solar observation in white light only to be used with refractors. The Herschel prism is installed on the telescope like a normal prism and it lets you obtain high contrast and sharpness solar images, better than the ones you can have with filters mounted before the lens. 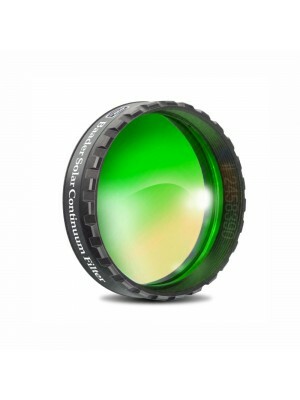 Also available in photographic version with 4 50,8mm ND neutral density filters and Continuum filter, the visual version offers 50.8mm ND 3.0 neutral density filter and Continuum filter. ATTENTION: Every Solar Diagonal needs additional neutral density filters since the reflected energy of the first surface prism (4.6%) still is a factor of 1000 too large for the human eye. 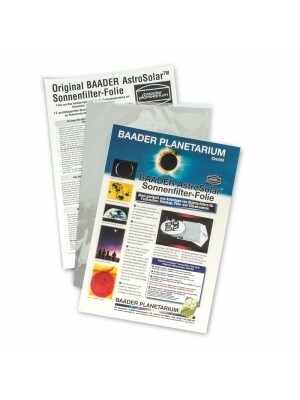 All Baader Solar Diagonals are delivered with a pre-mounted ND 3.0 Baader precision 2 light reduction filter. 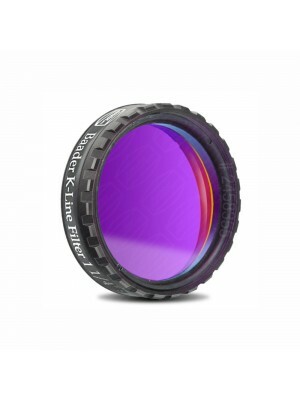 The photographic version includes other ND-Filters to achieve shorter exposure times. Use with care! - Space-Technology: The exiting beam in the Baader Safety Herschel Wedge is fed into a heat cage separated from the prism body. Like on a Space Shuttle a ceramic tile forming the back end of the heat cage absorbs the radiant heat without overheating its surroundings. The closed prism body offers perfect safety for educational work. - Solar Finder: The translucent ceramic tile acts as projection screen for the unfocused image of the Sun. Aiming the telescope at the Sun becomes very easy. - ClickLock 2 Clamp: Securely clamp any eyepiece with only the push of a lever. Change eyepieces single handedly  even in winter with heavy gloves. - Filter Holder: A M48 threaded ring couples the ClickLock clamp to the body of the Safety Herschel Wedge and acts as a filter holder for 2 filters. 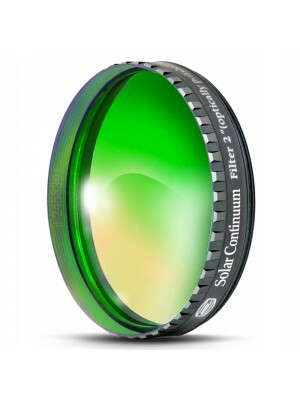 - Solar Continuum Filter (10nm HBW/540nm CWL): Included as standard filter.